We know from your emails that you enjoy seeing ‘mystery photos’ and working out just where they were taken. Well, just to be a little different, we have a ‘mystery clock’ series. Every week we will publish the detail of a well-known city clock. It will be your task to identify it and post your guess in the comments below. This one did not take you all long to identify! 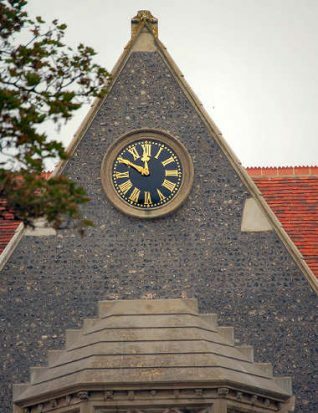 Can you recognise the next mystery clock here? This looks like the old Training College on the lower part of Ditchling Road at the junction with Viaduct Road. 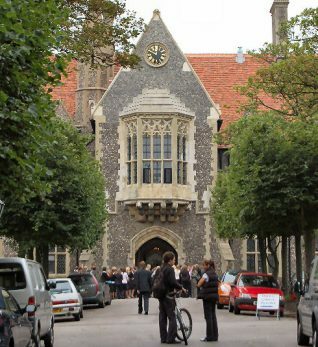 But on reflection, it could even be on Brighton College, Eastern Road (my excuse for not suggesting this first time is that I don’t believe I ever saw it at 11.50, as I was in lessons! ).